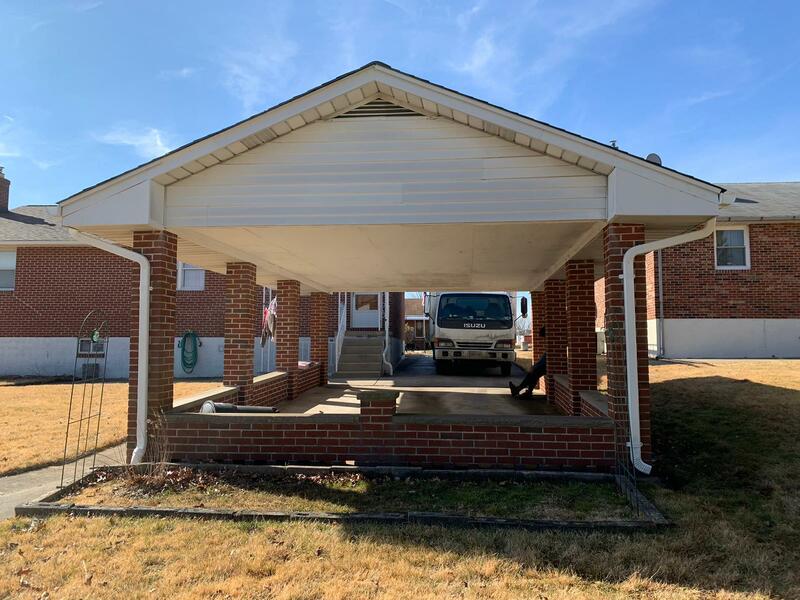 With more than 30 years of experience, the Global Roofing and Construction team is trusted for any residential, commercial and general contracting services. 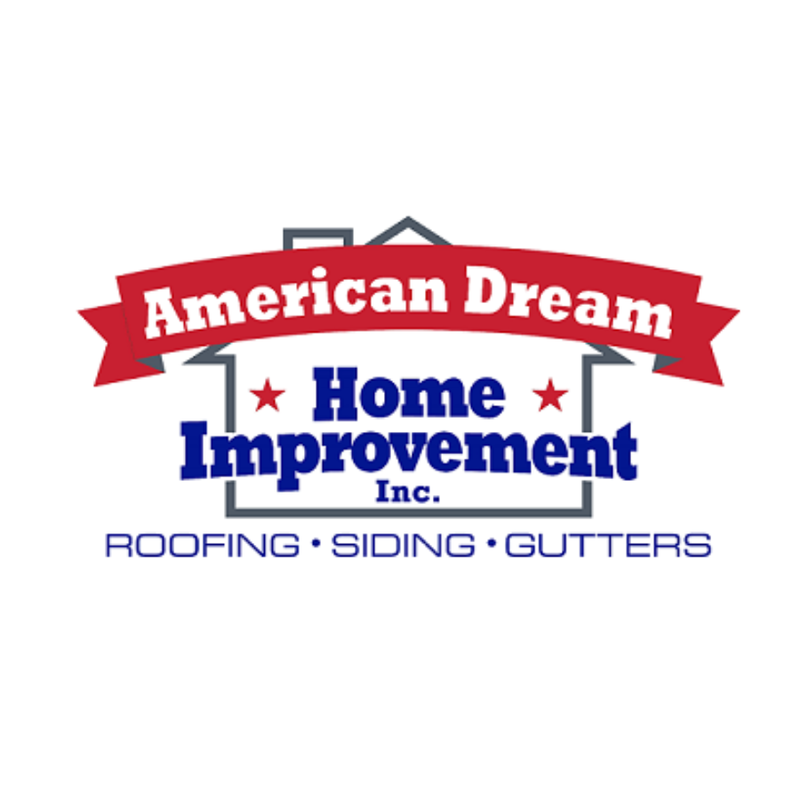 Through many years of experience, Global Roofing and Construction, specializing in the installation and repair of many of the types of roofing systems that are available in the market today. 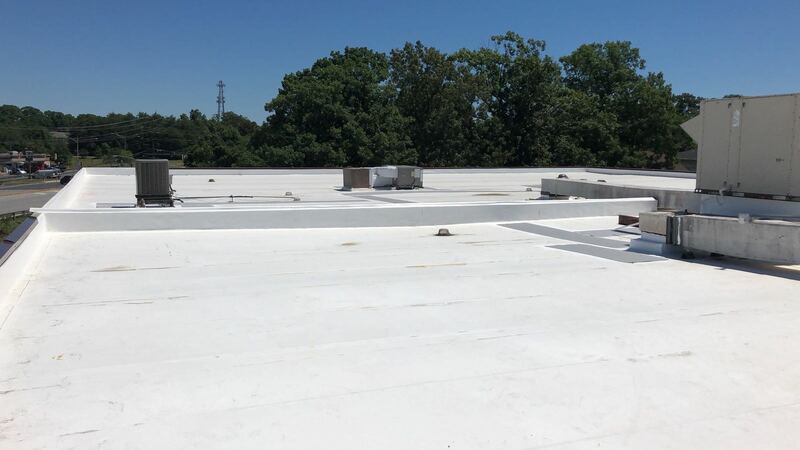 These include EPDM for roofing (ethylene propylene diene monomer), TPO, roofing (thermoplastic polyolefin), tile, metal roofing, roofing slate, tile, green roofing, roofing, and many more. 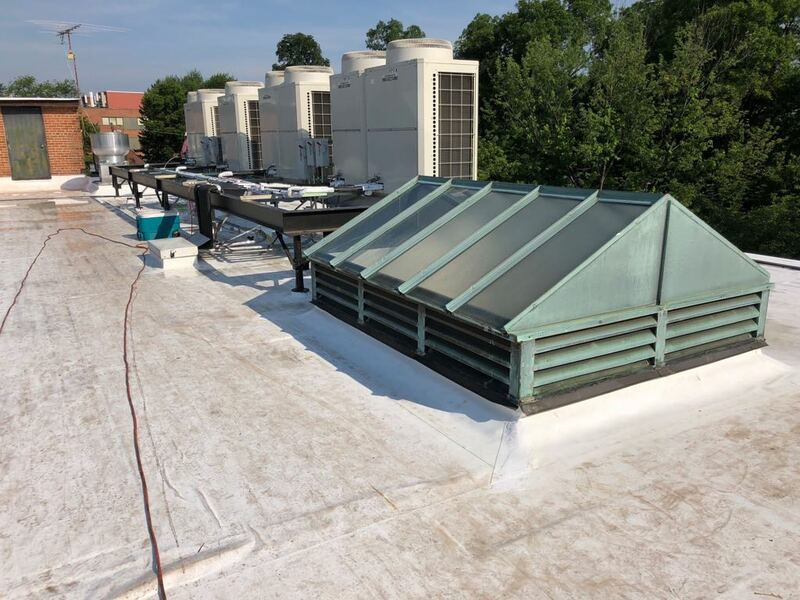 Global Roofing and Construction has expanded our general property maintenance offerings to include services such as snow removal and cleaning gutters or downspouts. 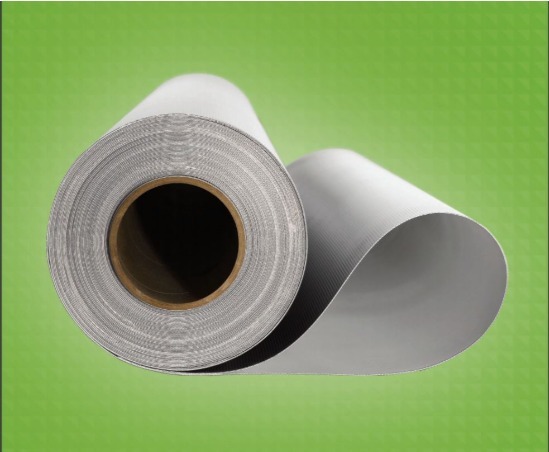 It is a flexible polyolefin thermoplastic waterproofing membrane (TPO), suitable for various commercial, industrial and residential applications with little slope. 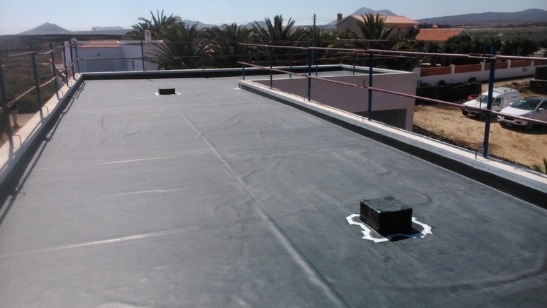 It is a rubber membrane resistant to UV rays and extreme temperatures, it is ideal for waterproofing roofs, walls and is also used as channel coating. 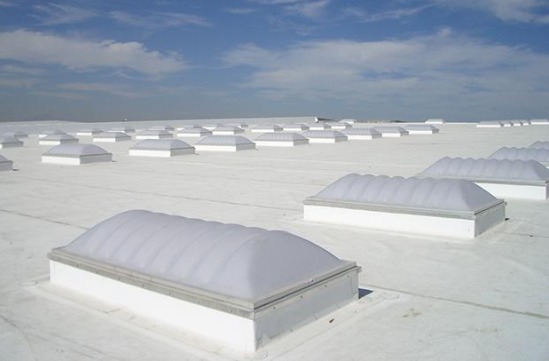 In order to reduce costs in electric lighting, the SunWave solution is provided, a lighting system based on the installation of Prismatic Domes which maximize the transmission of sunlight. 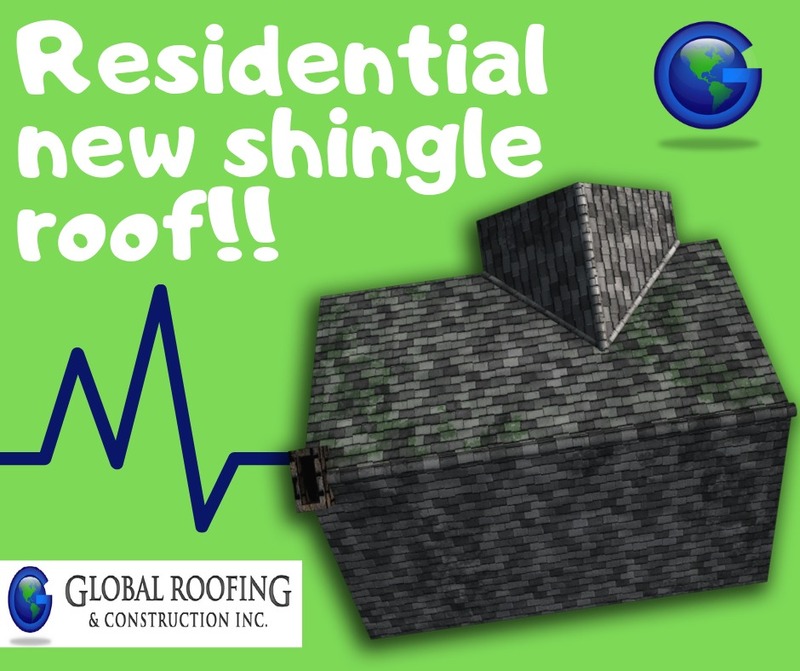 Damaged shingles can seriously cut into the life of a roof. 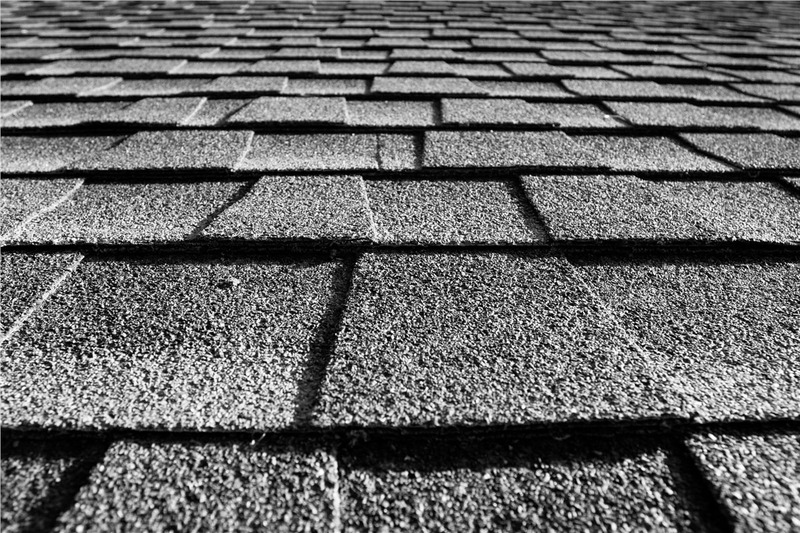 To keep your building secure, it's important to regularly evaluate and replace damaged shingles to make sure your building is safe and dry . 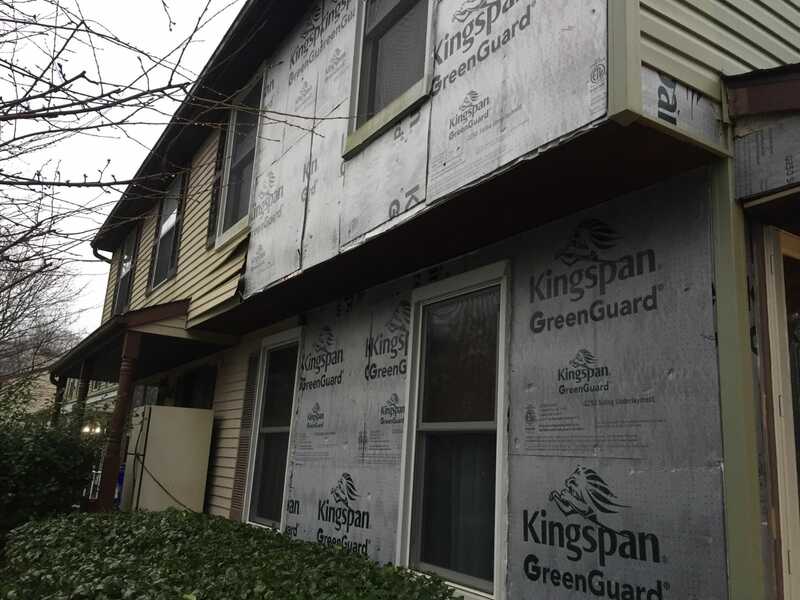 Siding gives you a great way to add color and definition to your house and provides weather protection to your home. 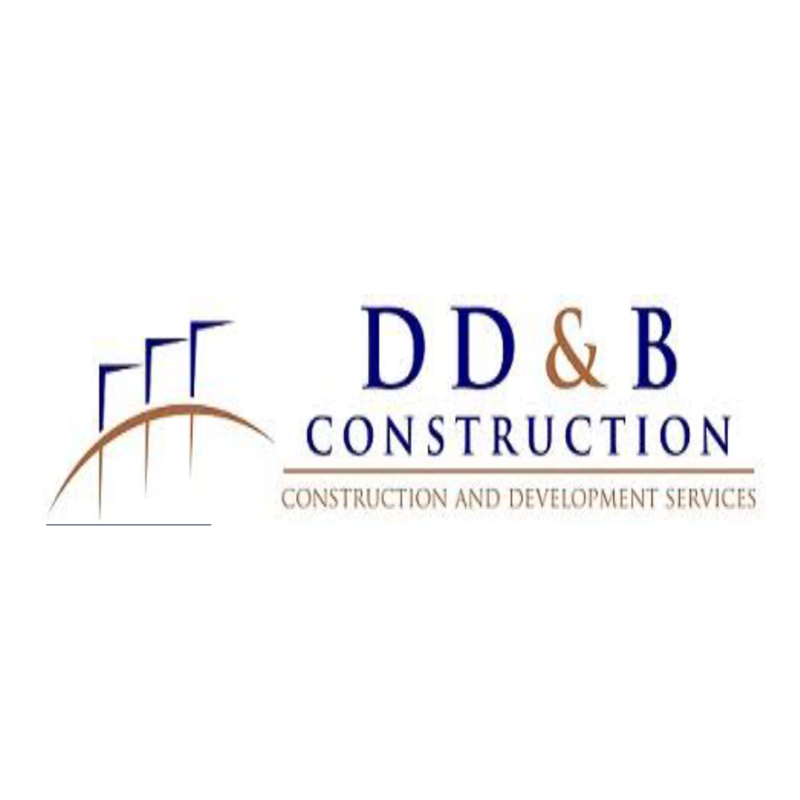 We pay special attention to the details of every project to ensure the complete satisfaction of each client. 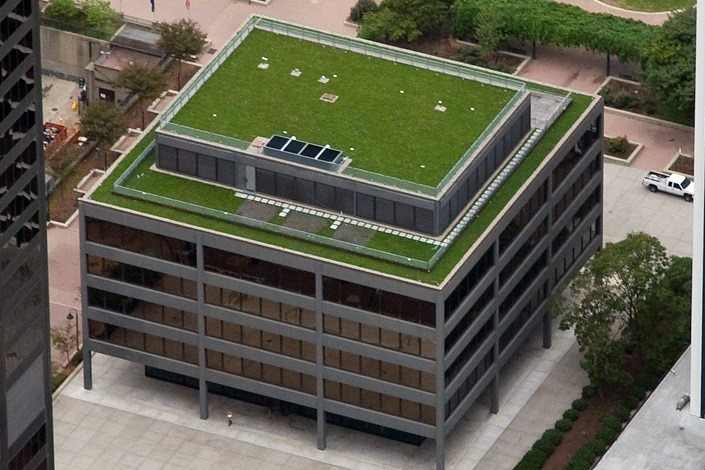 Like all roofs, the most important function of a Green Roof system with waterproofing membranes is protection against water and sunlight. 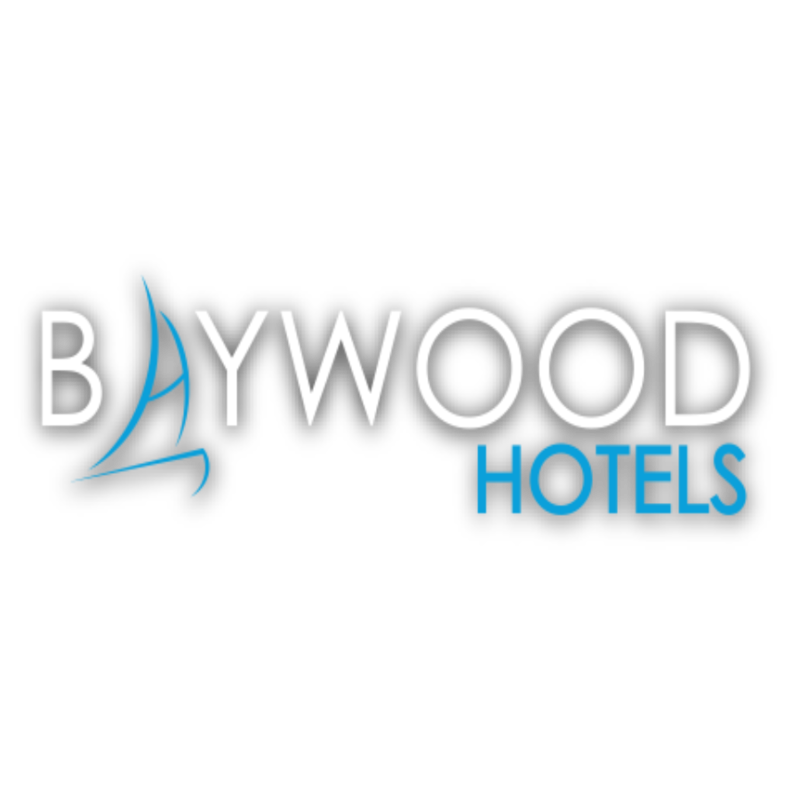 Consistently exceed the unique requirements of each project by pooling the diverse talents of our team and delivering the best services and products in the industry. 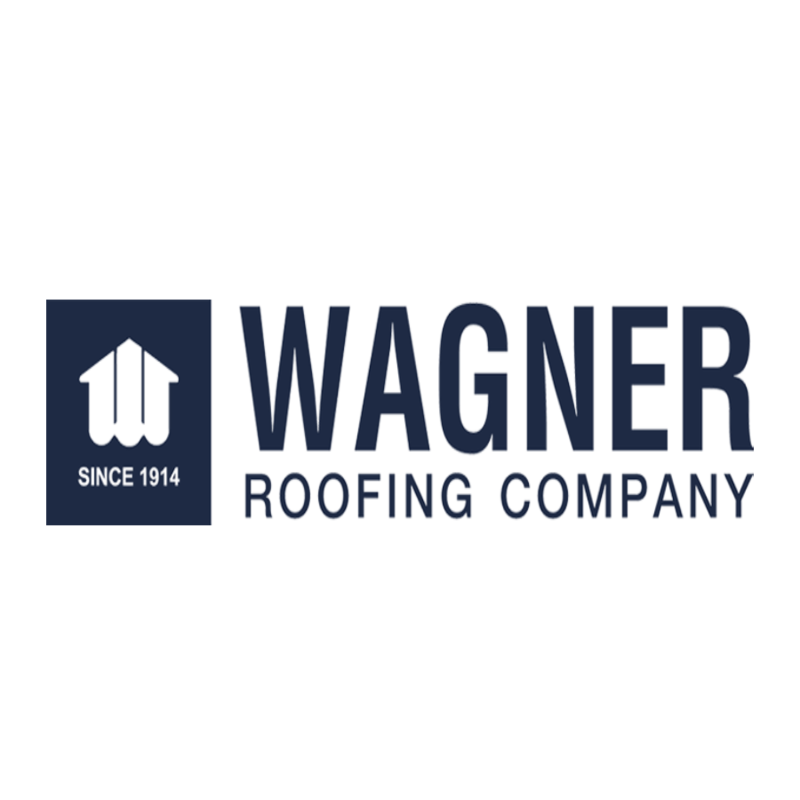 To be recognized as a professional roofing and construction organization on a global level. 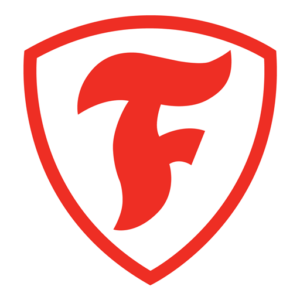 We understand that consumers consider more than just quantity and quality when choosing a brand. 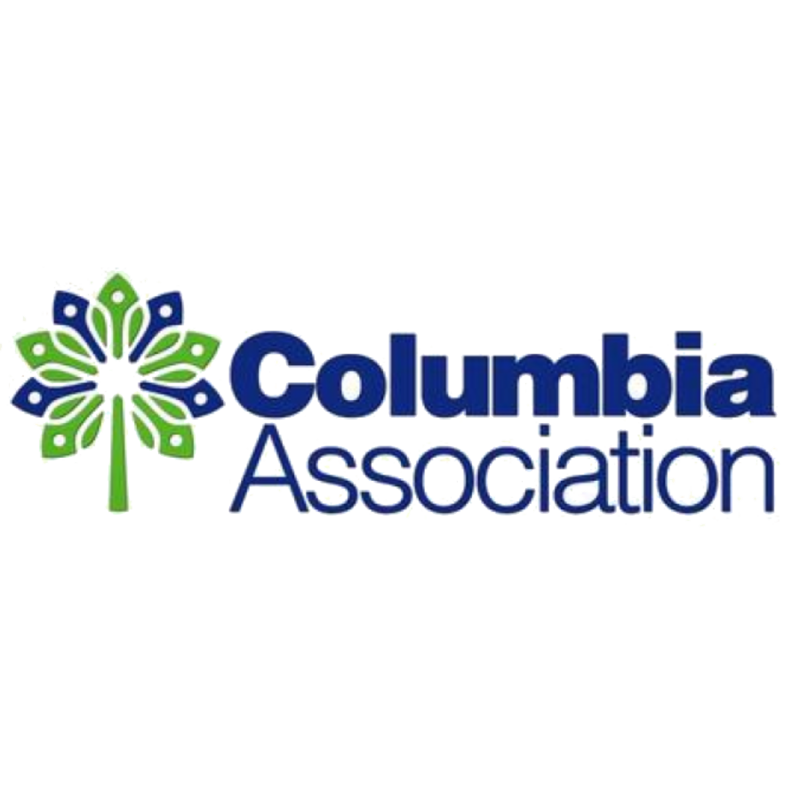 Social responsibility is our brand. We will never allow a client, partner or team member to turn their back on us due to commercial practices. 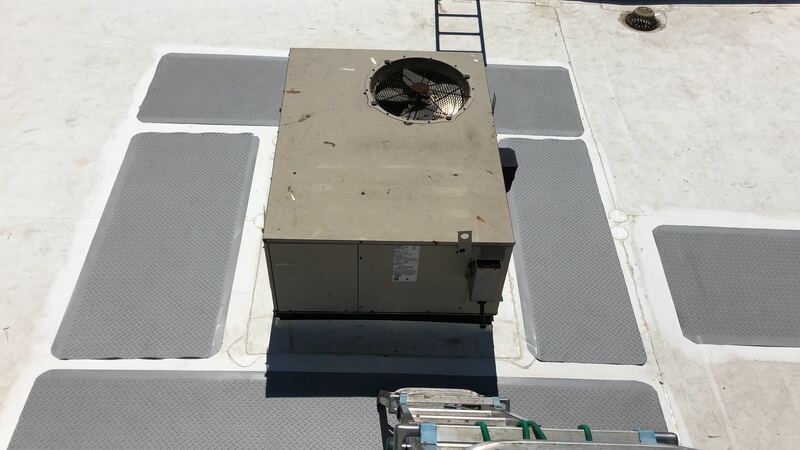 Global Roofing and Construction, S.A. is working carefully today for a safer and healthier tomorrow. 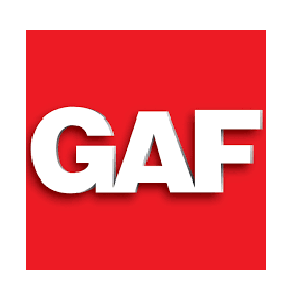 We partner with leading industry organizations (Firestone Building Products, Carlisle SynTec, GAF) that provide environmental solutions. "In decoration always placed a controversial piece. Give conversation to your guests"
"Do not have anything in your home that has no use or that you do not believe is beautiful"
"There is no house so bad that it can not become worthwhile"
"What is the design? A plan to place elements in the best way and thus achieve a particular purpose"
"The simple joy of taking an idea in your own hands and giving it the proper shape is exciting." 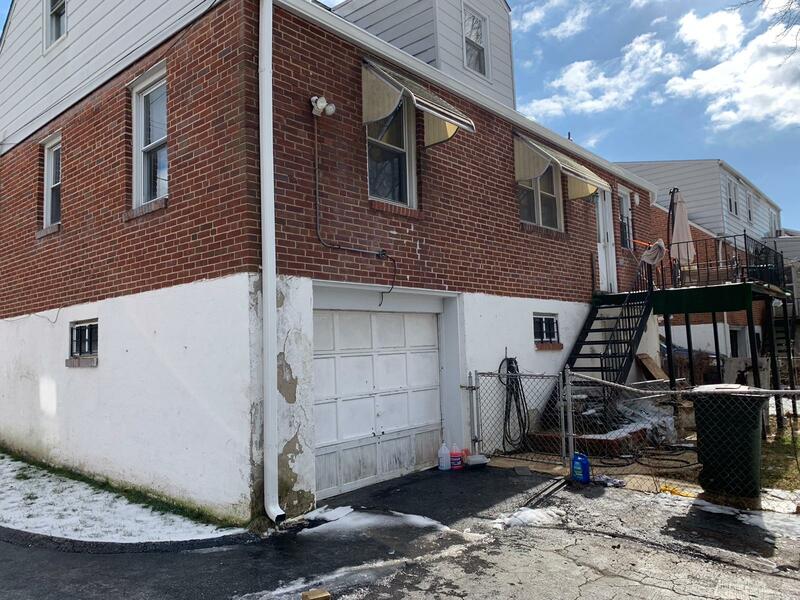 "The house must be the case of life, the happiness machine." 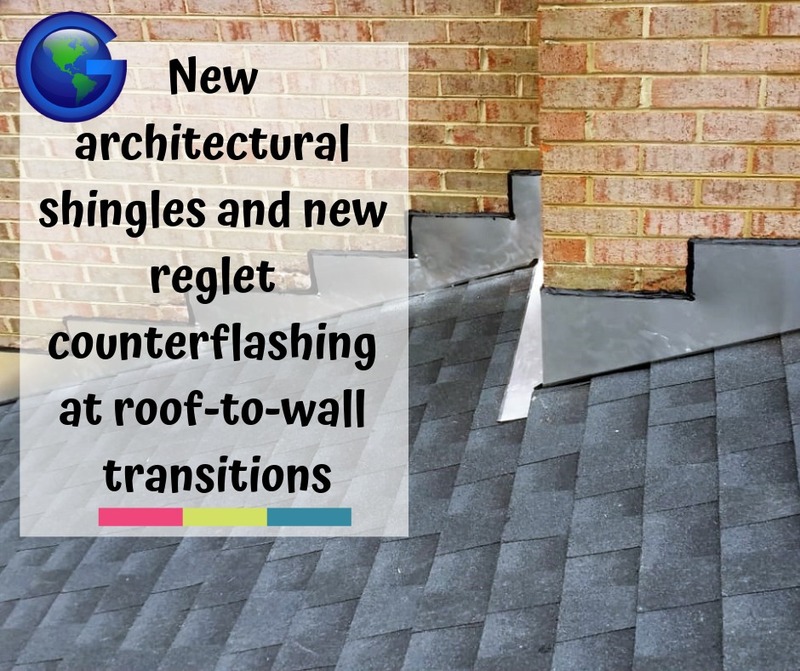 Global Roofing and Construction, Inc. 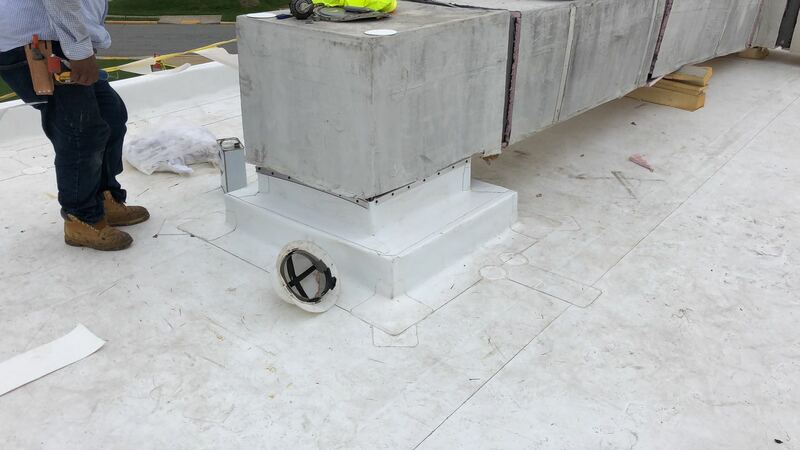 Installing new EverGuard TPO Walkway Rolls by GAF around a mechanical HVAC unit in Glenarden, MD. 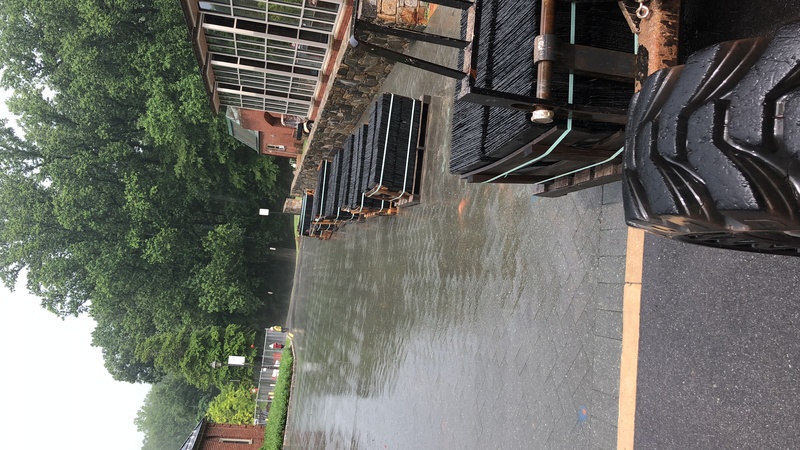 Staying productive and efficient by using a rainy day to load pallets of natural slate onto the job site. 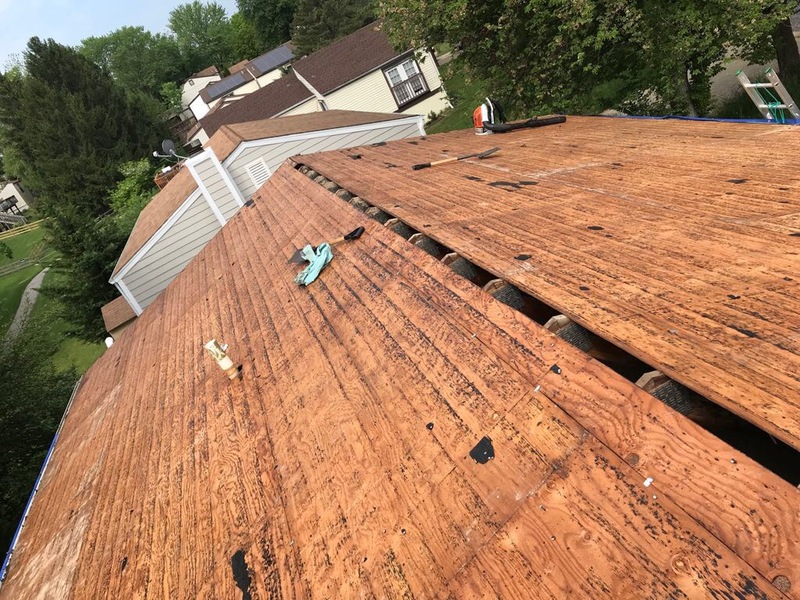 Preparing the structural deck for re-roofing with new filtered ridge vent and architectural asphalt shingles. 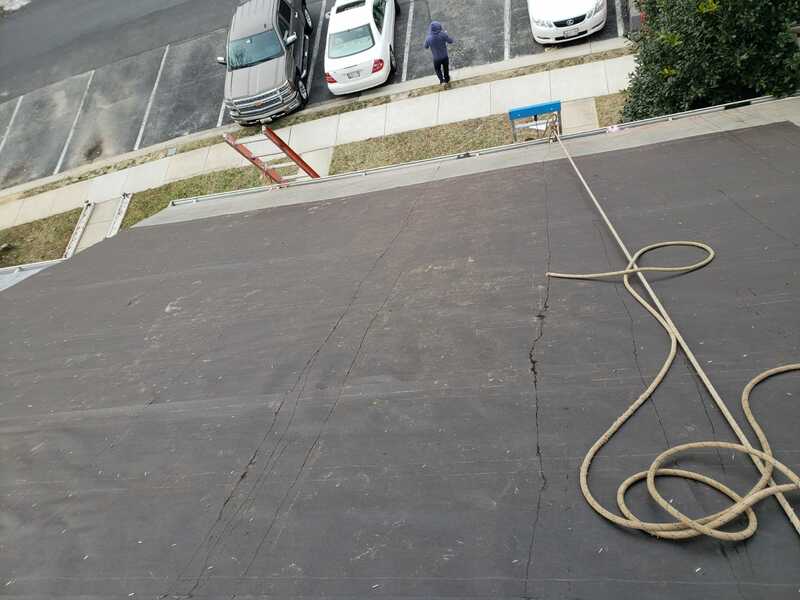 Terminating a new TPO flat roof system which transitions into a sloped slate roof in Bethesda, MD. 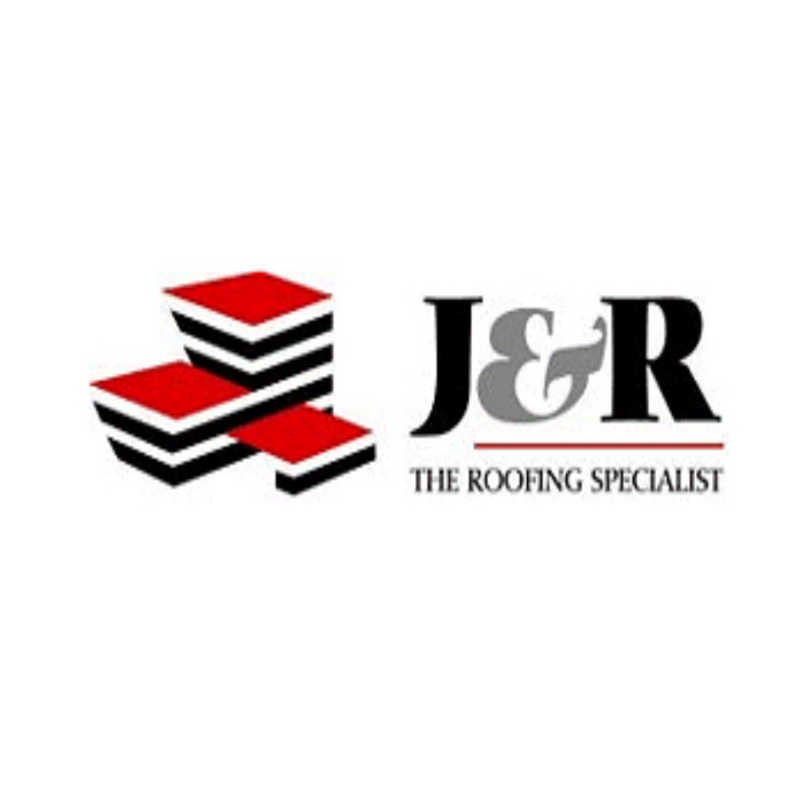 Our installers can handle roofing on any roof pitch. 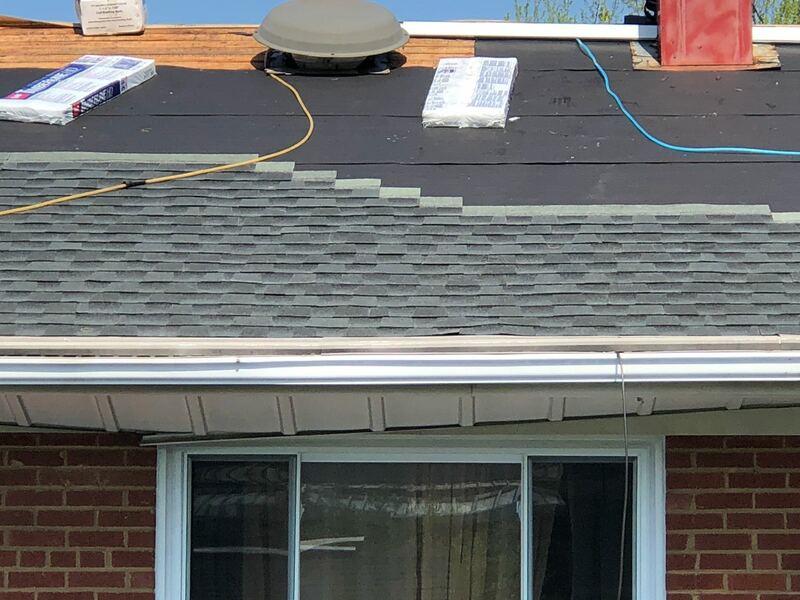 Beautiful new black architectural shingles installed in Germantown, MD. 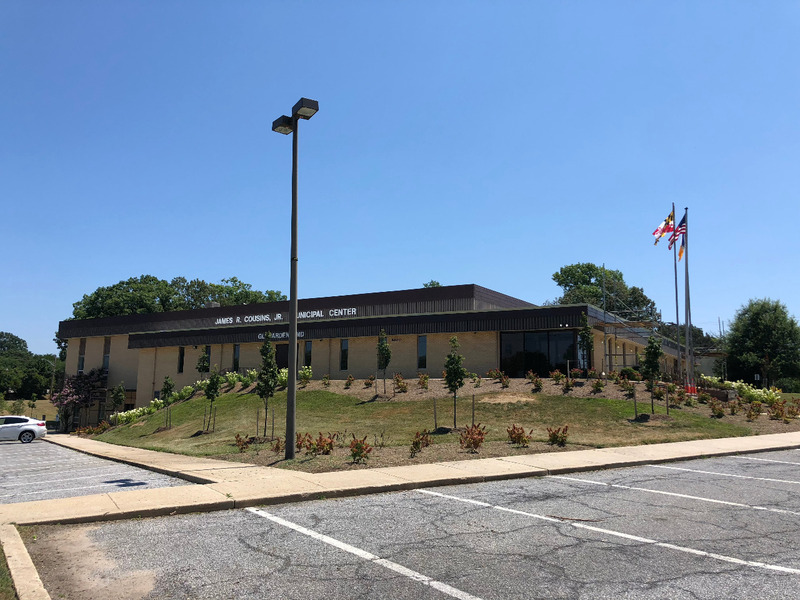 Natural unfading gray black roofing slate installed for The Madeira School in McLean, VA.
New reglet counter-flashing installed at roof-to-wall transition. Shop-fabricated with dark bronze .032 aluminum sheet metal. 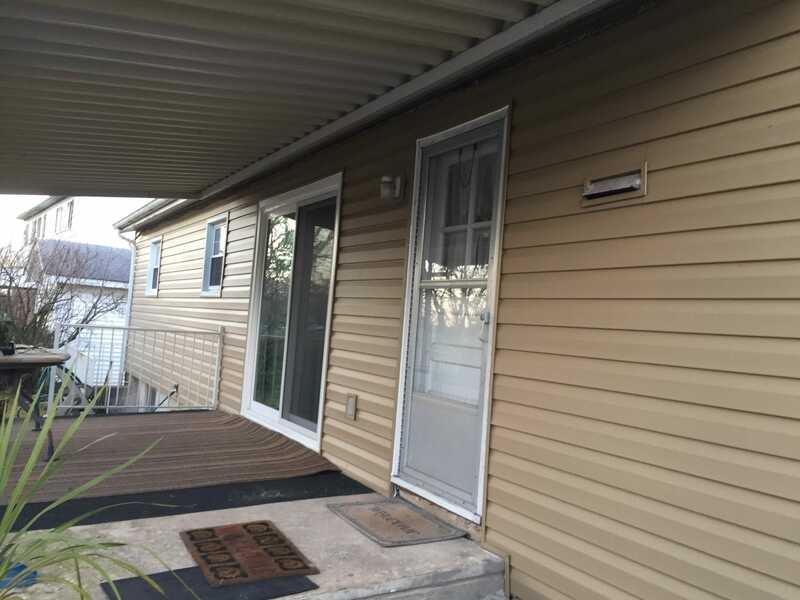 Dark bronze reglet counter-flashing, 6\" seamless K-style gutters and 3\"x4\" downspouts. The first thing we do when we arrive on job sites is set up the safety perimeter and lay down our tarps. 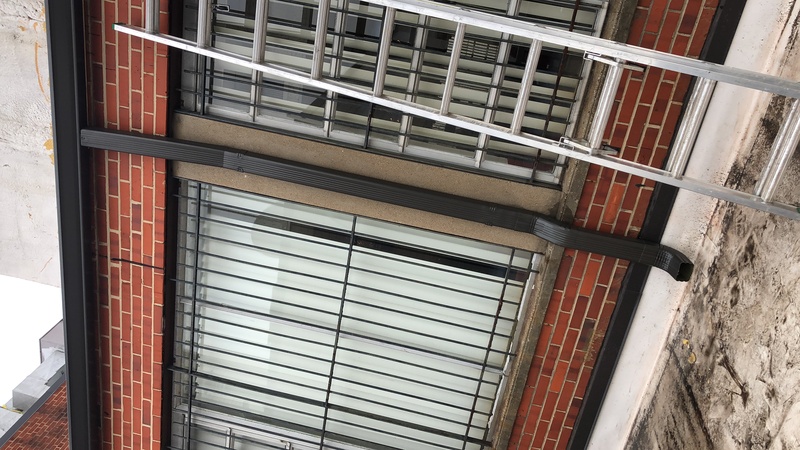 We guarantee a safe and clean job every time. 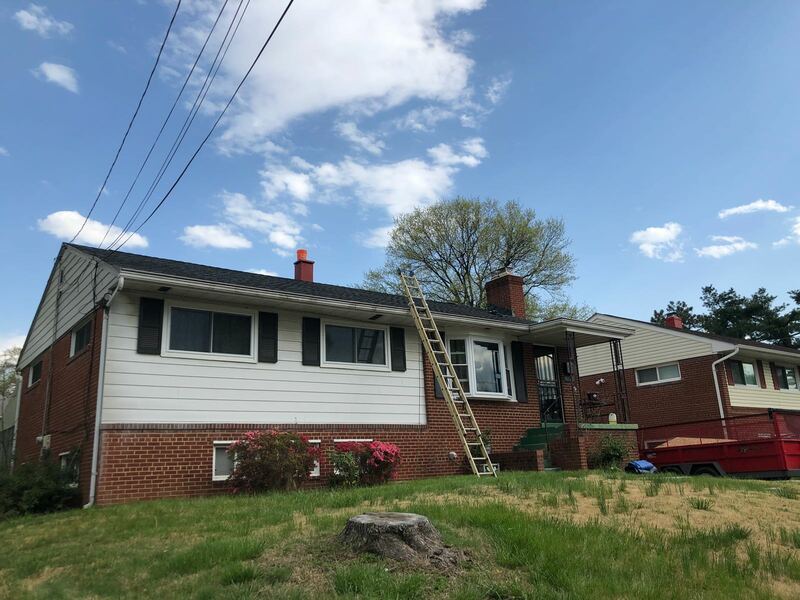 Post-inspection of a new shingle roof in Baltimore, MD. 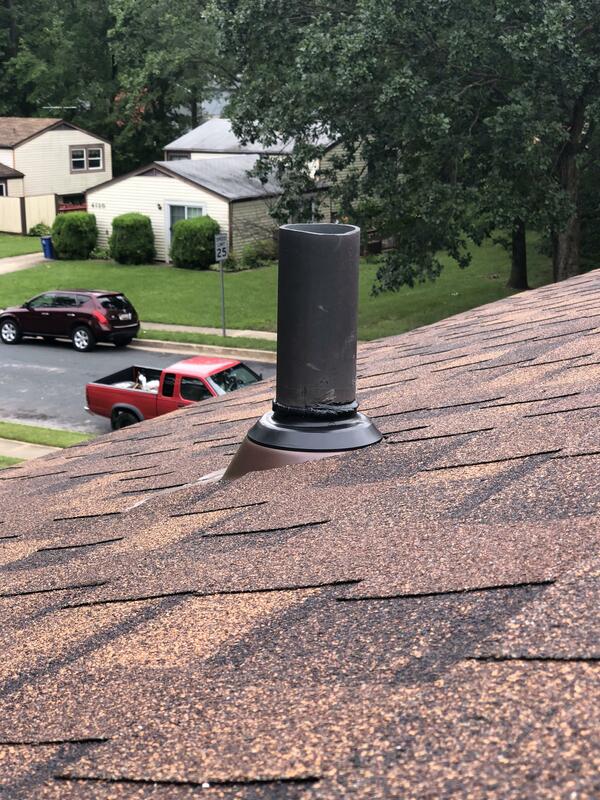 Finishing the job by touching up the power vents and pipes to match the shingles. 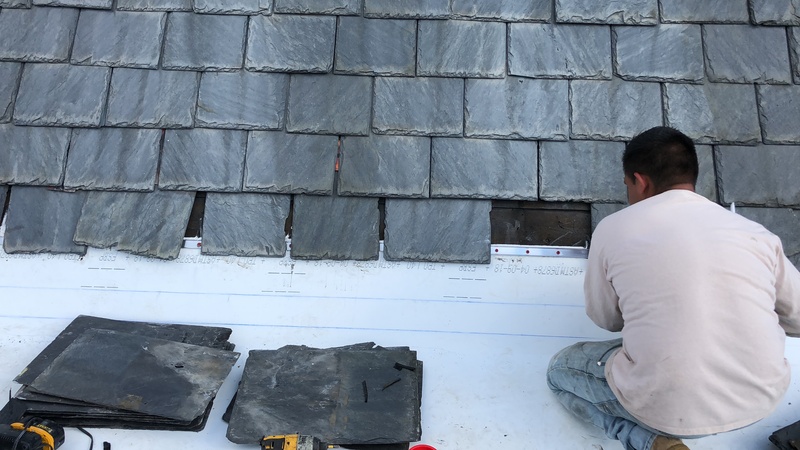 Installing GAF Timberline HD architectural shingles in accordance with the manufacturer\'s specifications. 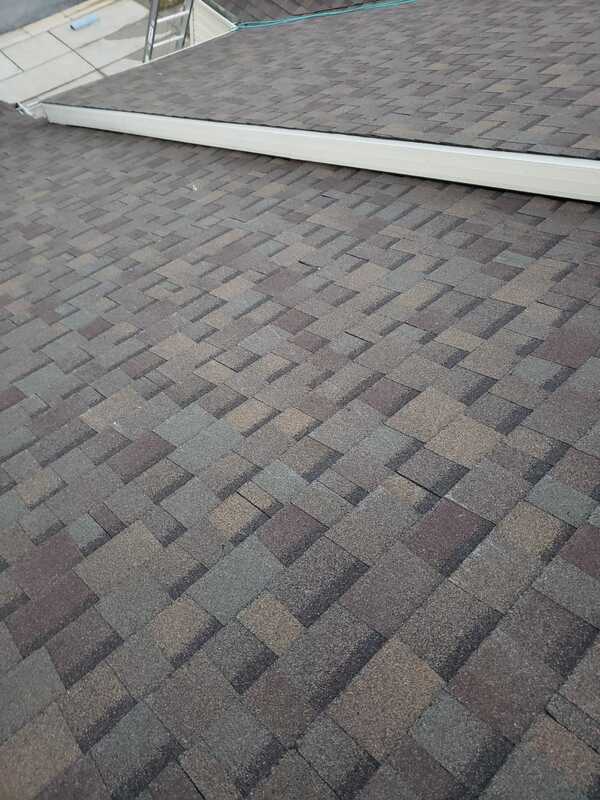 Expansion joint detail between two flat roof elevations in Glenarden, MD. 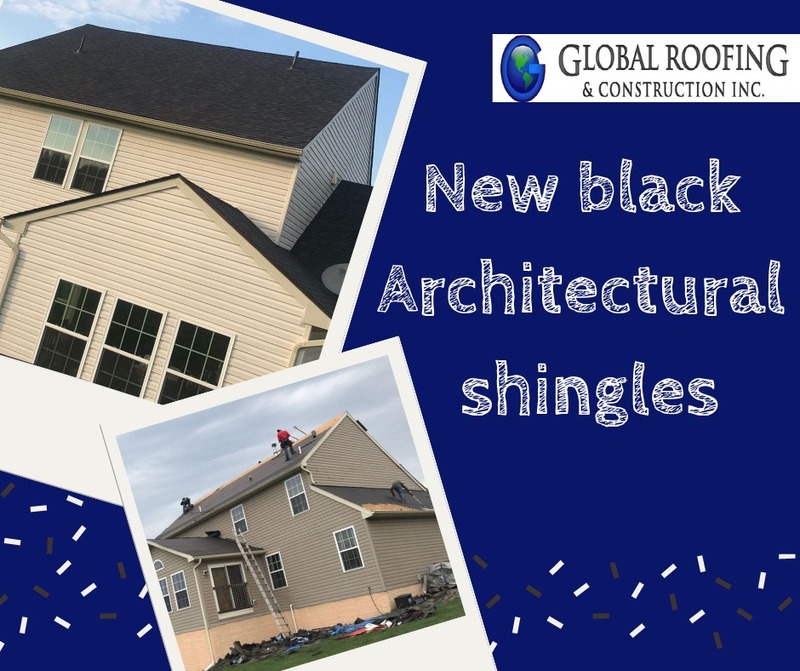 Beautiful new brown shingles to match the existing vinyl siding. 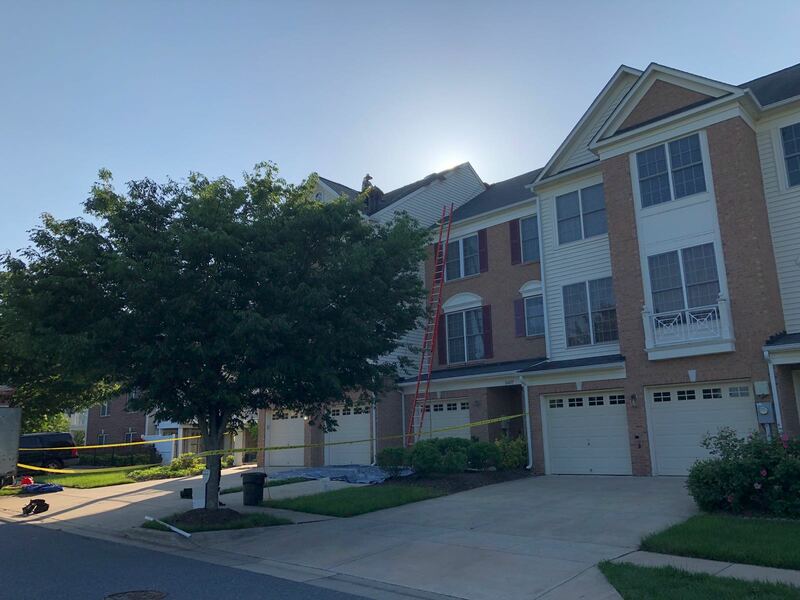 Gaithersburg, MD. New TPO flashing for the through-roof penetration of an HVAC duct. New aluminum pipe flashing with rubber collar and caulking and new 7/16 OSB board. 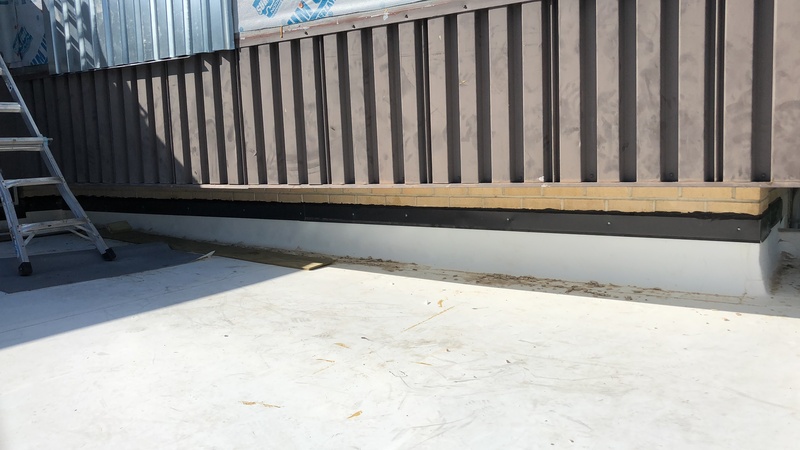 Exterior-grade wood parapet walls, .032 In aluminum staggered wall panels and coping with continuous lock strip. 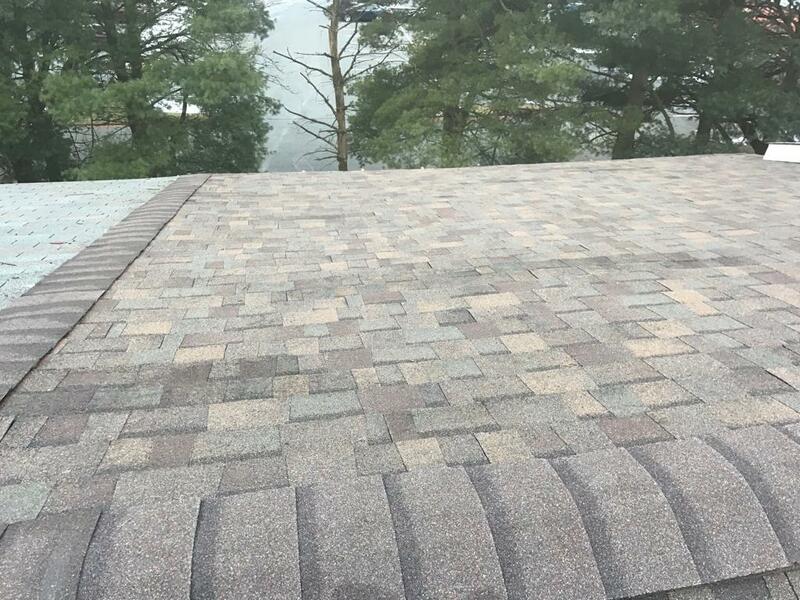 Owens Corning Oakridge shingles in the color Teak and 1/2 FRT plywood. 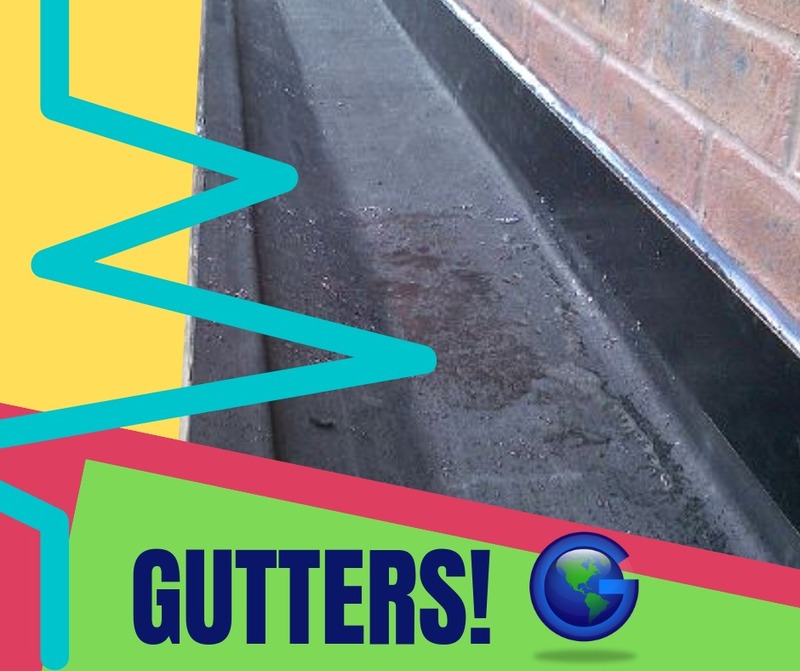 Seamless K-style 5 gutters and 2x3 downspouts. 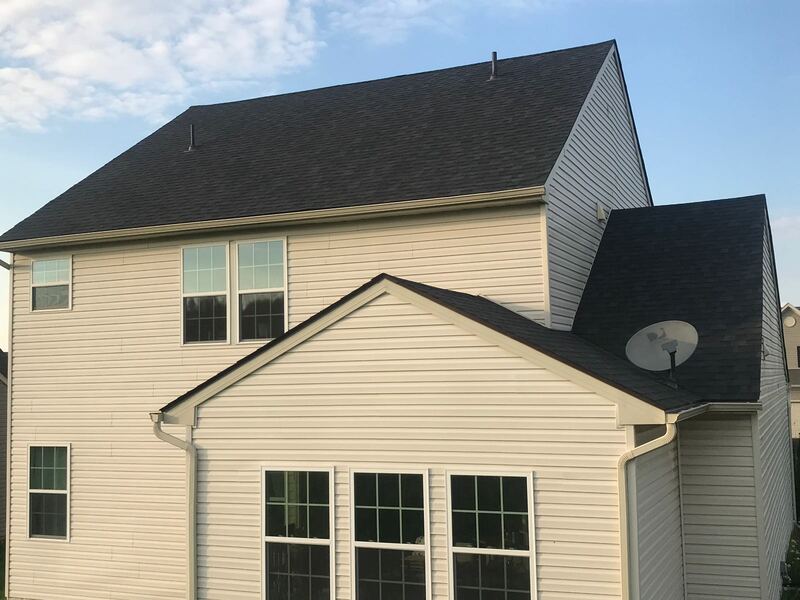 Owens Corning Oakridge shingles in the color Estate Gray. 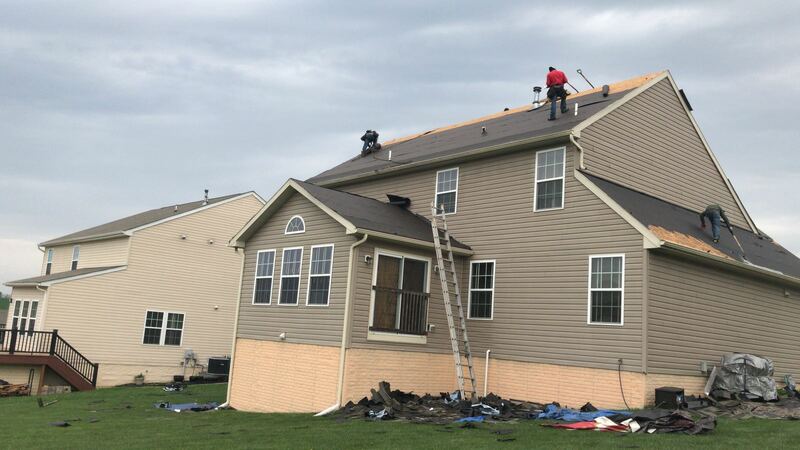 Owens Corning Oakridge shingles in the color Teak. 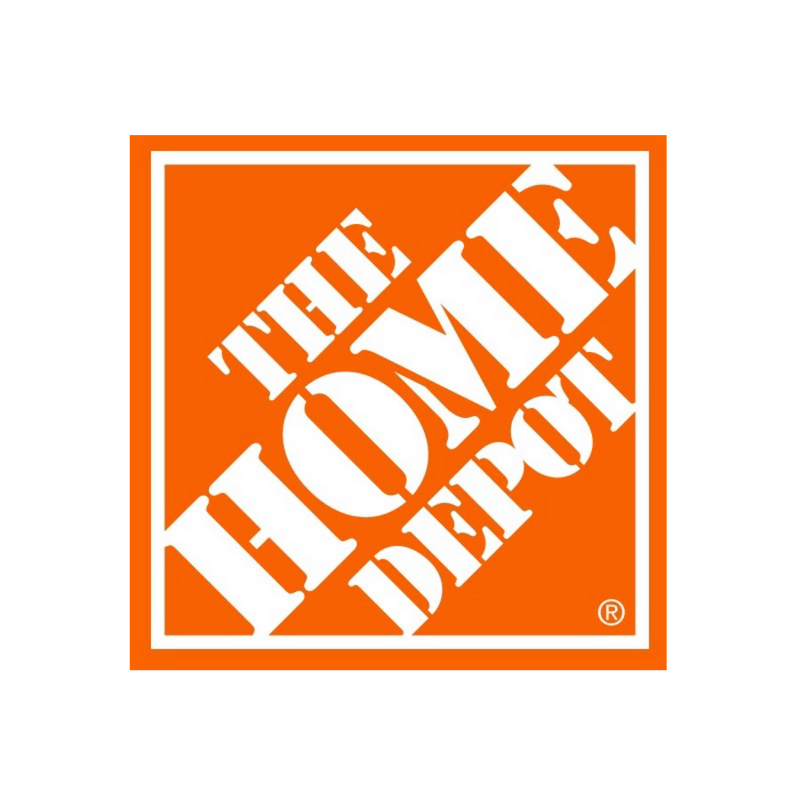 CertainTeed vinyl siding in the color Cypress. 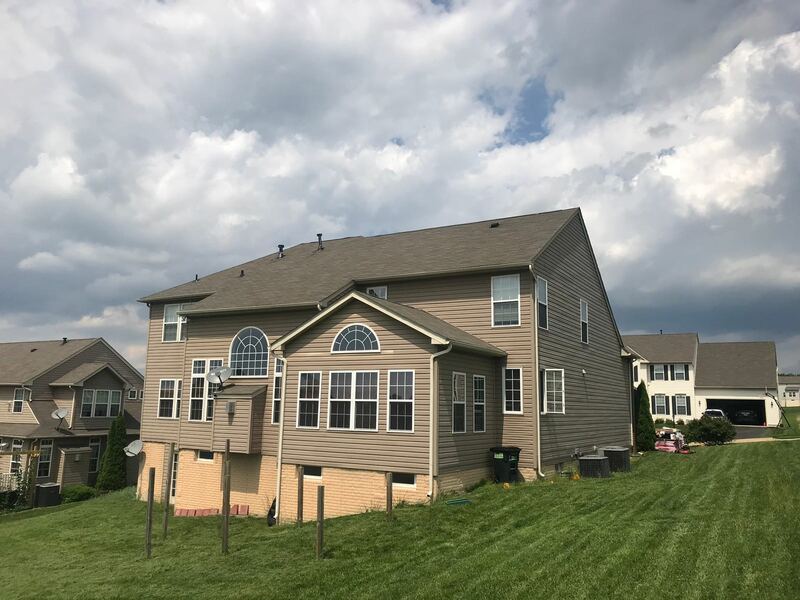 CertainTeed vinyl siding in the color Colonial White. 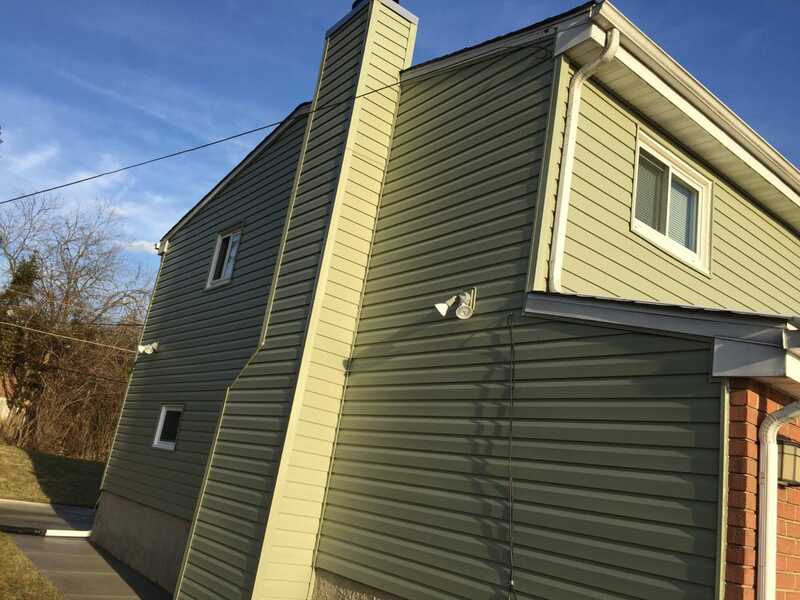 CertainTeed vinyl siding in the color Suede. 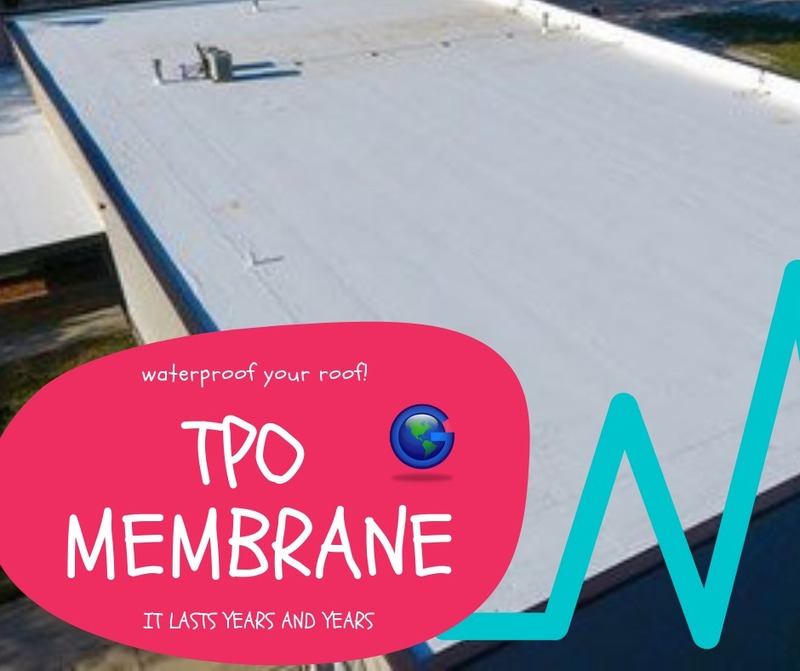 We specialize in waterproofing TPO membranes with the technology that prevent and solve typical roof problems such as moisture infiltration and fungal apparitions. 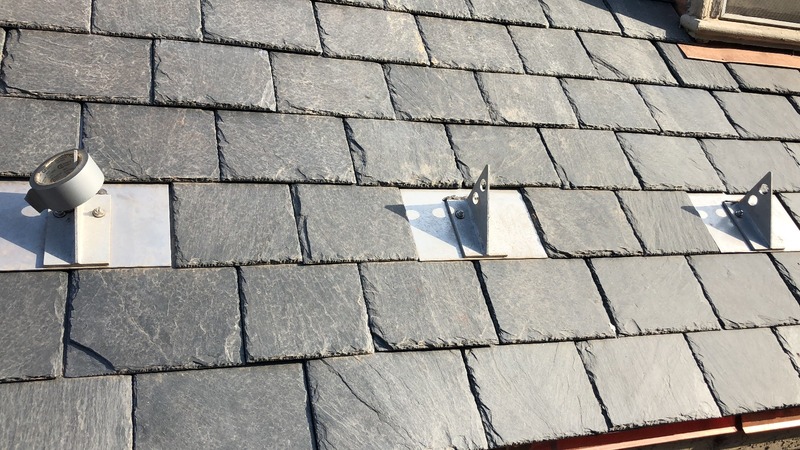 With this technology we guarantee to extend the useful life of your roof (up to 50 years) and avoid future problems. 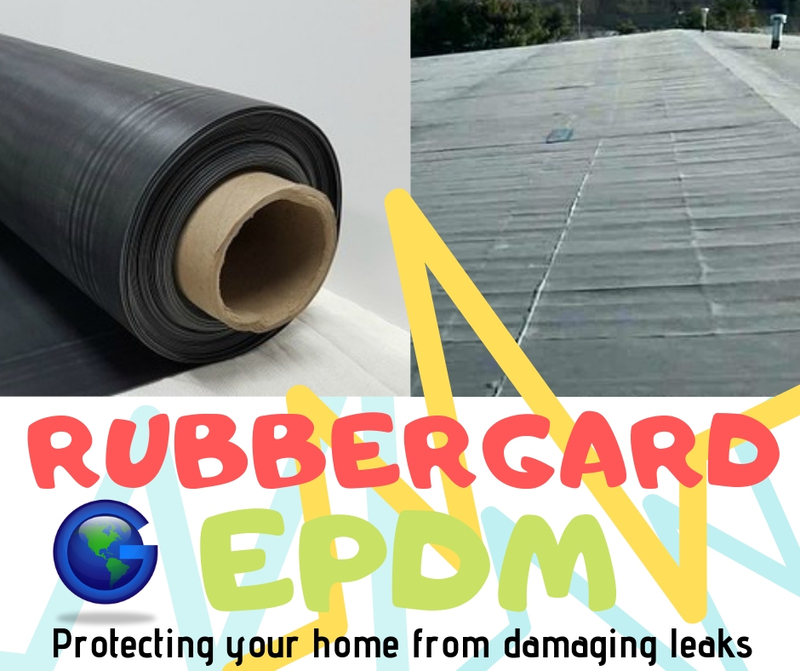 The EPDM membrane manages to prevent the problems of cracks, appearances of moisture spots, weakening of structures and other. This natural lighting system is able to save up to 70% of electrical energy. 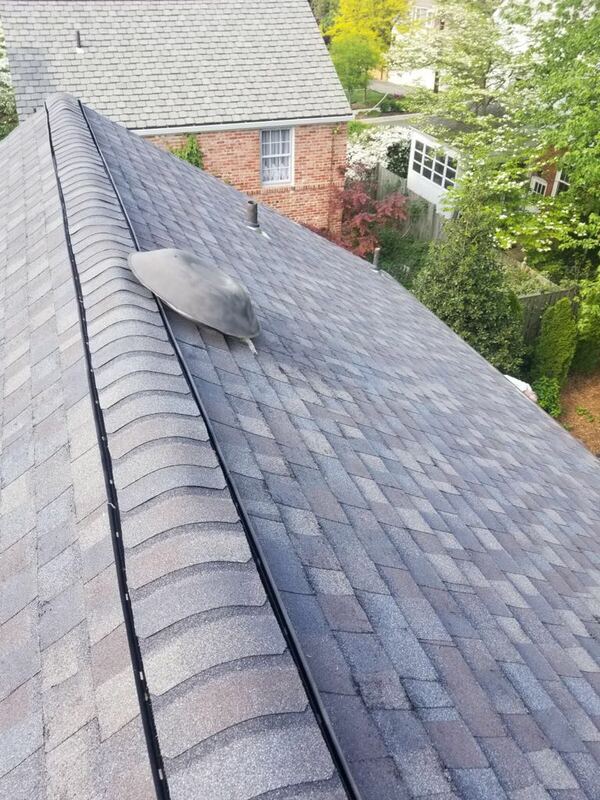 SWe are your best option for shingle roof replacement and repairs. 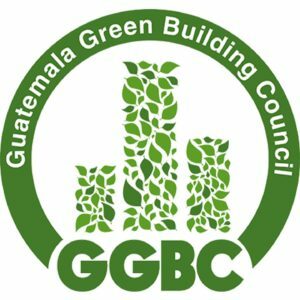 energy saving thanks to better insulation, reduction of ambient temperature and the effects of urban heat islands, absorption of CO2 and fine particles, and improvement of air quality.